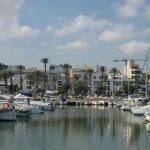 Situated 40km south-west of Barcelona, Vilanova i la Geltrú was originally a fishing port which flourished during the Romantic period. Today it is a spectacular coastal city complete with beaches, local festivities, and a rich Catalan culture. It’s really easy to get to Vilanova from Barcelona as the train takes just over thirty minutes and leaves from Sants station. We think you need at least one full day to explore all the magic that Vilanova has to offer! 1. Many claim that the city was founded by those fleeing the Lord of the castle la Geltrú and his terrible mistreatment of his citizens. 2. 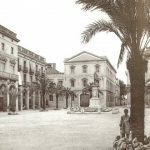 The main town square (Plaça de la Vila) and the city’s other iconic buildings were financed by Josep Tomàs Ventosa Soler, a textile businessman who made his fortune in Cuba. 3. During Franco’s dictatorship, many fleeing poverty in Southern Spain came to Vilanova. By 1970, the majority of the city’s population had been born elsewhere. Locals often say that Vilanovins have so many festivities they ‘always have a leg in the air.’ But it is through having these local celebrations that the community feels united and connected to its friends and neighbours. 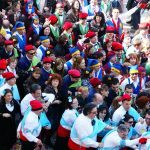 Carnaval: Held in late February, Carnaval celebrates ‘The King of the Senseless’ with a week-long celebration of dance, social satire, mock battles, feasts, processions and pranks. At least one third of the city’s population participates in Les Comparses (a couples dance where rival groups throw sweets at each other in a ‘Sweet War’) and children are given a day off to celebrate ‘Fat Thursday’ by indulging in so much sticky sweet meringue that traces are often left through the town! Vilanova offers visitors a vibrant programme of music festivals, theatre performances and other live events. While these often take place in the city’s theatres, many are also performed in Vilanova’s outdoor venues. 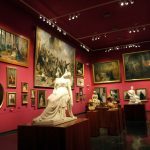 Biblioteca Museu Víctor Balaguer holds collections of Roman, Egyptian and prehistoric antiques, as well as paintings, sculptures and a large library, and the Museu del Ferrocarril contains one of the largest collections of historic steam engines in the world. Home to the third largest port in Catalonia, Vilanova has an array of delicious and traditional seafood restaurants. However, it is also a recognised city for xató, a winter salad with a rich sauce made from almonds, olives, fish, oil, and garlic. Other local delicacies include Glòries, elaborate meringue creations used during Carnaval, and the Mig-Mig, a refreshing drink made from Orxata de Xufa (flavoured with tigernuts) and pulverised ice with lemon syrup. 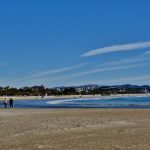 Vilanova has more than 4km of beach and prides itself on its clear and tranquil waters. If you’re looking for more than just a paddle, Estació Náutica also offers water sports and other activities which you can book online. Vilanova is the perfect place to spend a day and explore the rich history of Catalonia. To find out about other places to go just outside Barcelona, read our article here. Vilanova performance image: Ajuntament de Vilanova i la Geltrú on flickr under creative commons. Next Article Sitges Film Festival 2018: The Best Film Festival for Fantasy and Horror!